Home » Blog » Family Vacation Destinations » Northeast Destinations » I’m Shipping Up To Boston. Why You Should Too! Returning to a city you love to visit as an adult calls for different planning when sharing the destination with your kids. This violin-playing attorney took her nine and eleven-year-old children to Boston and figured out how to share the city’s vibe in ways they liked too. These family-friendly suggestions in Beantown are perfect for all generations. So you’ve decided to visit Boston—good decision! Boston makes me think of the Boston Pops, clam chowder, Paul Revere, the Boston Marathon, the Red Sox, and of course, the TV show Cheers. But before you find yourself “shipping up to Boston”, do your homework! Sure, there are some definite must see’s in Boston, like the Freedom Trail. But the heartbeat of any city centers around good food, cool vibes, and unforgettable activities you will remember long after. If you have two to three days, here are my family’s recommendations of the best of what Boston has to offer. You Had Me at Lobster and Oysters. 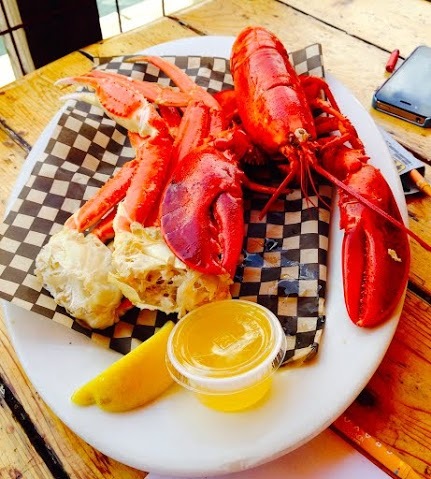 The seafood at the Barking Crab is a must-try. Photo credit Sherry Boswell. Boston is nicknamed Beantown because the colonial practice of preparing baked beans in molasses. So it’s no wonder the city has also become known for exceptional food. The Barking Crab is self-described as offering “the casual atmosphere of a coastal clam shack in a funky urban setting.” We were near Faneuil Hall walking around and getting pretty hungry, but I wanted to try this little gem that had been recommended by a friend. 15 minutes later, by the time we walked to Barking Crab, we were a bit grouchy. So factor in travel time when deciding on your dining locations. But with a picturesque view of the Charles River and delicious seafood, it was well worth the trek. I could totally understand why people have been digging the Barking Crab for 20 years. Nothing fancy schmancy with paper towel rolls on the table but that sort of ambiance is actually more comfortable to my kids, especially my son. And my teen daughter couldn’t have been happier because she DOVE into the lobster. We’re definitely raising a girl with expensive tastes. I’m okay with that! At the opposite end of the dining spectrum is Island Creek Oyster Bar, a well-located restaurant near Fenway Park, home of the Boston Red Sox and attached to the Hotel Commonwealth. Island Creek embraces the farm to table concept, only this time it is the oyster grower and harvester. Clearly popular, we had to go with a 5:30 reservation, and the place was PACKED! After perusing the menu, the grownups and teen decided that this evening’s focus would be oysters. Our server recommended several varieties and we went to town on three or four dozen oysters over the course of a few hours. Totally fresh, upscale in decor (including walls of oyster shells), and having impeccable service, we were wowed. We had to be a bit more inventive for my nine year old who doesn’t eat oysters because they don’t have a kids’ menu. But really that isn’t a deterrent because he could choose from a Fish Sandwich or a Colorado Angus Burger. Naturally, it winds up being much pricier than a restaurant that caters to kids, but we knew that going in. Discovering a great band at Faneuil Hall. Since music is such a big deal in my life with singing and playing violin, I’m always looking for new and inspiring music. No wonder my moniker here is Melodious TMOM! There is no better place to find street musicians than Faneuil Hall and Quincy Market! This bustling marketplace filled with food and souvenirs is also alive with the sound of music. And our exceptional find was the band Cahill. The more they played, the more we liked them. Two guys, acoustic guitars, a foot amp to add special effects, and that was it. The duo is Scott O’Brien and Robert Antonelli, and their voices are unique and their talent undeniable. These guys had our whole family mesmerized for 20 minutes! My favorite tune? “Hard to Miss.” You’ll be tapping your toes and remember the chorus days later. 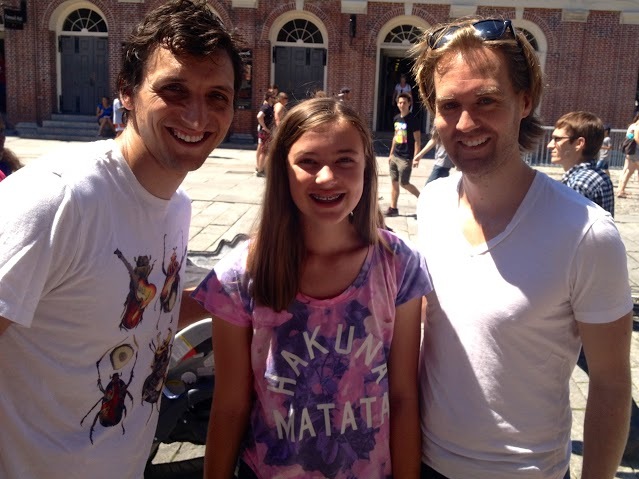 My teen was willing to pose for a photo with them. Forget America’s Got Talent…these guys got talent! 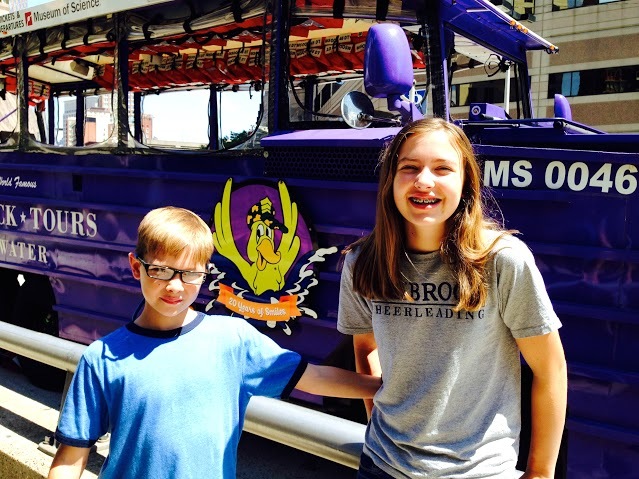 You have probably heard of the Boston Duck Tours, this land/water tour on a World War II style amphibious vehicle also known as a “Duck”. Our conDucktor/driver was Flo, who kept us in stitches despite the crazy Friday afternoon rush traffic. Here’s a tip: schedule a trip like this keeping in mind traffic patterns. The most coveted tickets for this tour are usually early in the day to avoid any snags. Once on the Charles River, my teenager even got to drive! 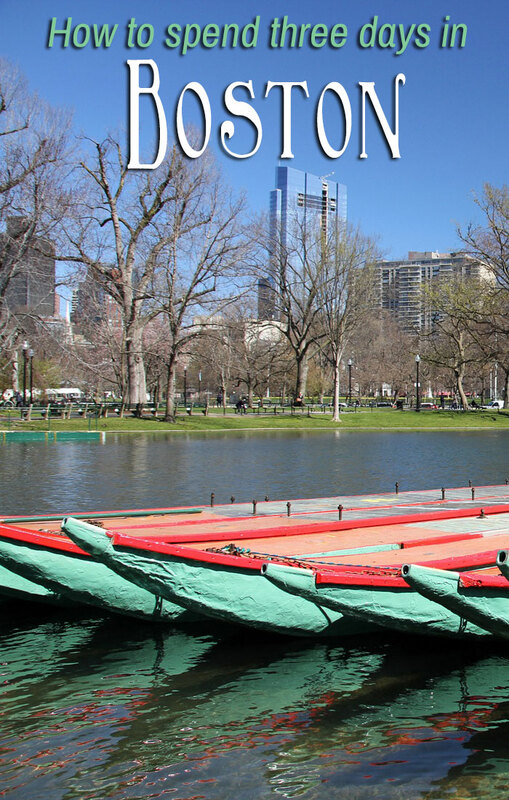 This goofball tour is a perfect overview trip to give you a sense of all that Boston has to offer. My son especially liked this activity, especially when our Duck drove straight into the river. He wished our car could do that! No big surprise that my kids loved Boston Public Garden given how much they loved Central Park in NYC. Lots of green space in a big city to run and play is like a beacon to them. But the added bonus was the Swan Boats. Families line up to take the 15 minute sojourn around the lake. 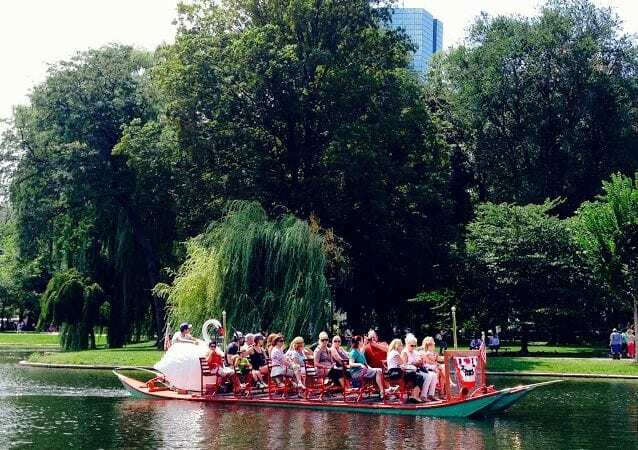 The swan boats are powered by pedal propulsion–say that 3 times fast! The swan boats are unrivaled (as in, you won’t find them anywhere else) and inexpensive to boot. All four of us enjoyed this leisurely cruise for only $9.00. Fun family entertainment in the great outdoors! You might be wondering if a teen and tween would think the Swan Boats were for little kids. Not at all! They took photos and enjoyed spotting the swans along the way. I got a wild hair on the last day and thought, “Let’s do something totally unexpected and unlike anything we’ve ever done.” Boston Harbor Cruises fit the bill because they offer whale watching excursions. It was AH-MAZ-ING! We went from one mode of water transportation with the swan boats to a giant catamaran that would take us miles away from Boston in search of whales. 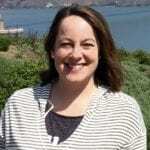 For this journey, I will admit it is a long trek out to the feeding grounds (close to one and ½ hours) so kids will do much better if they have something to entertain them. The activities of choice? Most kids either were glued to their phones or playing cards! I did have that moment when we arrived at the feeding grounds where they had seen whales earlier in the day, and we sat there. I have to admit, I started thinking: “We came this far for THIS?” As if on cue, the whale emerged from the sea not once, not twice, but at least 30 times while we all gasped and squealed at every leap, called “breaching”. It was breathtaking and exhilarating. Not sure when or where we might have the chance to whale watch again–that is exactly what made this excursion so memorable and special! 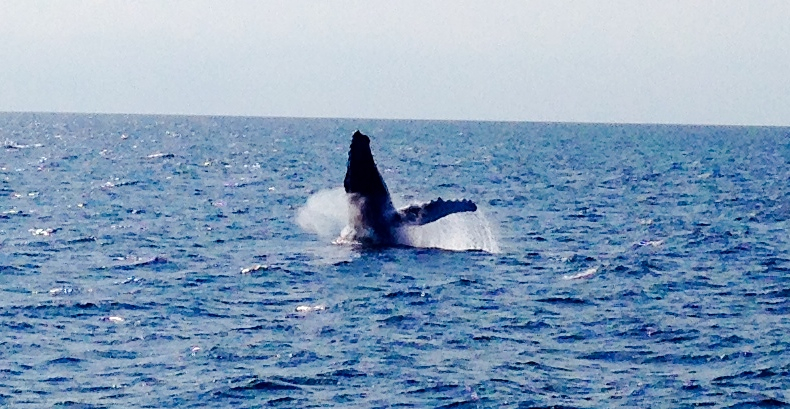 When I asked my kids today what they liked best about our Boston trip, they both said, “Whale watching.” Me too, kiddos. Footnote: “I’m Shipping Up to Boston” is the song I most associate with Boston because of the movie The Departed. It’s got a cool Celtic vibe with heavy rock jam. As the Melodious TMOM, I will try to incorporate at least one song or musical reference in my posts. This time, it happens to be the title! This is a fantastic article! I can’t wait to go back to Boston! We first visited on our honeymoon. We loved it so much that we named our son Boston! We haven’t been in several years. This article makes me want to go back now!